Today we’d like to introduce you to Sally Mundell. The Packaged Good, is a 501c3 non-profit organization that was founded in early 2016 by Sally. 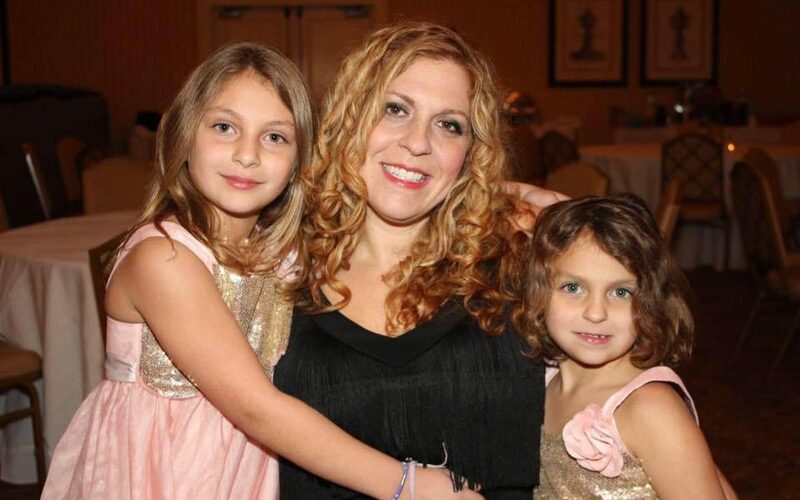 Sally’s husband passed away unexpectedly in March, 2013 after a six-week battle against Idiopathic Pulmonary Fibrosis (IPF) leaving her to raise their two young daughters on her own. During his illness, they had many discussions about what values he wanted her to instill in their children and how she should honor his memory if he died. Her husband’s death left her with a strong desire to focus on what is important in life and making a positive difference in the world. Hence, The Packaged Good was formed. Sally – please tell us more of your story and the story of The Packaged Good. The mission of The Packaged Good is to instill in children the desire to give back while inspiring the next generation of giving. Our goal is simple, to provide a fun, inspirational environment where kids, community groups and corporations can connect with charities and give back to others. Participants decorate care packages for people in need, and include a personal and inspiring note in the package. Package contents are carefully selected in partnership with the charities to assure that we are providing essential and needed items. Whether it’s giving to the homeless, children in need, senior citizens or the armed forces, The Packed Good partners with vetted, reputable non-profit organizations. This hands-on process allows children to give back to those less fortunate while at the same time being educated about various local charities. In just over one year The Packaged Good has provided over 16,000 packages to people in need and soldiers stationed overseas. Some of our charity partners include the Community Assistance Center (CAC), Mary Hall Freedom House, New American Pathways and Creating Connected Communities (CCC). We have welcomed more than 4,500 people through our doors, over half of those being children, many experiencing their first ever giving experience. We have hosted approximately 150 events, including birthday parties, school and camp field trips, girl and boy scout groups, corporate outings, mom’s night out and more. We have also noticed an unexpected but amazing result of these giving experiences…. the ripple effect that The Packaged Good has developed. Our Community is not only learning about kindness, gratitude and giving, but they are sharing these experiences with others, thus increasing our reach. • We have a 13-year-old young lady who raised $1,300 for The Packaged Good, created our video that is on our website and shown at every event, and now her sister is involved in The Packed Good as well. • We have a 12-year-old boy who created our Mitzvah program, chose The Packaged Good as his Bar Mitzvah service project recipient and now his Cub Scout troop is involved as well. • The Ritz Carlton hosted a corporate event at The Packaged Good, one of the attendees then scheduled her own event and that led to an additional Birthday party being scheduled. The Packaged Good has also started a free educational program series where children learn in greater detail about the charities we partner with. Our first program took place in April, 2017 where children and families heard firsthand from a volunteer who visited Haiti. She distributed the care packages that were created at The Packaged Good to families in Haiti. She spoke to our group of children ages 4 and older and show firsthand how they can help and make a positive impact in the world. The Packaged Good is teaching children and adults about empathy, bravery, gratitude and kindness while ensuring that our next generation is not only successful but has a strong compass to help make the world a better place. It has definitely been a learning process. While I have a lot of experience in business, I didn’t have any in the non-profit sector. I had to learn as I went. Also, because my non-profit is innovative and different, a lot of times there wasn’t a clear answer for what I should do. It didn’t quite fit into any buckets. I had to make decisions on the fly and have confidence that what I was doing would work. This mainly applied to government and business licenses, permits, and process. Lastly, my business plan relied on sourcing large amounts of donated toiletries from corporations. This has proven to be very difficult. We got a lot of small donations, but nothing in tens of thousands amounts that we needed. I had to adjust my plan to account for this. Please tell us a little more about The Packaged Good. What sets you guys apart from other organizations? The Packaged Good allows families and groups to give back through making care packages and creating gifts to give to people in need in our community. Groups can schedule private events or families can attend our educational programming. 1. All ages can participate doing good. Babies can come in with parents, 3 year olds can draw. 2. Private events can be scheduled around the volunteer groups calendar. You choose the time and date. We handle everything else. 3. Our educational programming connects kids to why we should do good and creates the future generation of philanthropists. Probably remind myself to go a little slower and asked for more help. I am very passionate and like to move fast. I accomplished a lot in a very short amount of time, but it was a lot of work. We suggest a donation of $250 or more for private events at our facility.